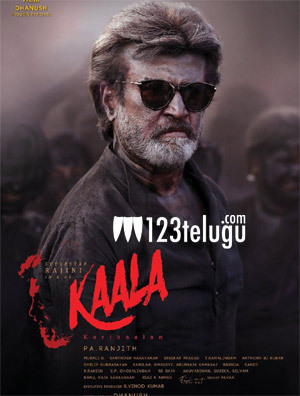 Kaala on track for Tamil New Year? Super Star Rajinikanth’s highly-anticipated gangster drama, Kaala, is wrapping up its post-production formalities at a jet speed. The film’s music composer Santhosh Narayanan is currently working on the background score and he announced that details regarding Kaala’s music audio album will be out in the coming weeks. Meanwhile, Tamil film circles are abuzz with the speculation that Kaala’s makers are planning to release the film on April 14, as a Tamil New Year treat for fans. 2.0’s indefinite postponement is the reason behind this latest development on Kaala. The film’s first copy will be ready by February end or March first week. In Kaala, Rajini will be seen as a Dharavi slumlord turned politician. Stalwart Marathi and Bollywood actor Nana Patekar, Huma Qureshi and several other prominent actors will share screen space with the Super Star. Kabali fame Pa Ranjith has directed Kaala and Rajini’s son-in-law and actor Dhanush has produced the movie.